Brian graduated with a dual degree in Biochemistry and Chemistry from South Dakota State University, his home state’s land grant, in May 2017. His undergraduate work focused on developing and executing a screening assay for inhibitors of multidrug resistance-associated protein 1 (MRP1) in Dr. Surtaj Iram’s lab. Brian started his graduate study through PIBS at University of Michigan in July 2017. 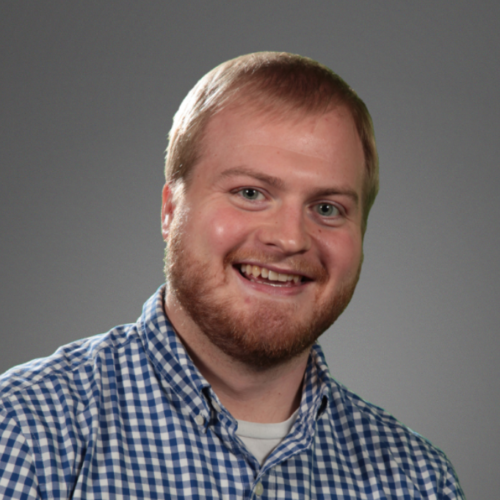 Brian joined Baldridge’s lab and the Department of Biological Chemistry in April 2018. Brian’s current project in the lab is total mutational analysis of HRD1 to determine critical residues in substrate recognition and the retrotranslocation process. High-content screening of clinically tested anticancer drugs identifies novel inhibitors of human MRP1 (ABCC1).